We have been lax about getting here partly because the only anchorage in Chaguaramas is reputed to be dirty and not to have good swimming. Furthermore, it is difficult to get back north from here as the current is against you. Many cruisers sit out the hurricane season here however and many consider it the best for boat work. All who visit Trinidad agree that Carnival is a blast and enjoy the Trini people very much. 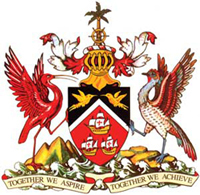 Trinidad is prosperous and more industrialized than other islands in the Eastern Caribbean. It has oil. It is also quite large with 1 1/2 million in population. 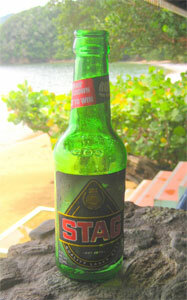 The sister island of Tobago is a little off the beaten track and therefor remains an example of the old Caribbean. This is where the Trini's go for vacation. Our anchorage, Man Of War bay is easily 2 square miles of bay surrounded by forested hills. 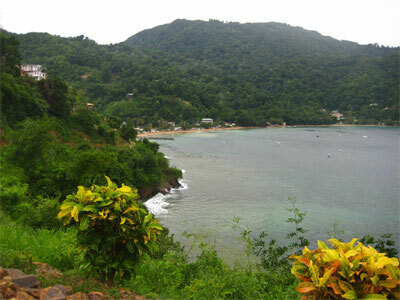 The main town, Charlotteville, has a population of about 300 very laid back souls. There is a fine library and customs here and many fine walks. Not much for night life, boat repairs or shopping. More of a kind of sactuary for people and birds and is becoming a target for Eco-tourism and is supposed to be good diving.